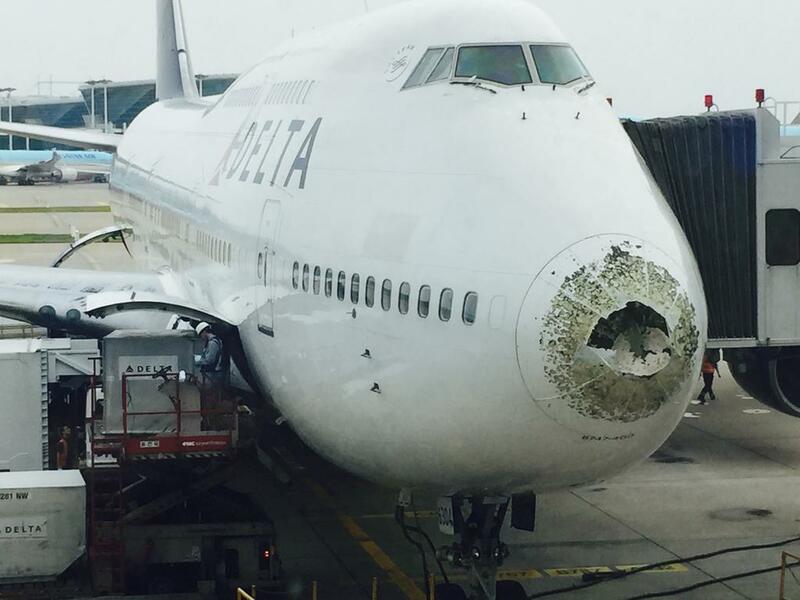 The damaged plane, a 26-year-old Boeing 747-400 was flying from Detroit to Seoul two weeks ago when it encountered a hailstorm. It’s not clear whether the plane, registered as tail No. N664US, will return to service (Delta is phasing out its 747 fleet by 2017).